Orla Kiely is the creative director of Orla Kiely, a London-based design and fashion label with a store in New York. The label was recently named the Premium Brand of the Year in the U.K. The company began as a small accessories collection in 1995 before Orla developed it into an internationally recognizable brand that has been worn by the Duchess of Cambridge, Keira Knightley, Alexa Chung, and Lena Dunham. 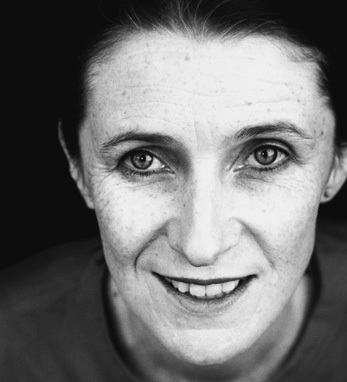 In 2011, Orla was awarded an O.B.E. for her service to fashion and business. Born in Dublin, Orla’s parents come from Galway and Tipperary, where her grandmother and her many sons ran the local bakery, public house, and shop in Tipperary town. “I have always been proud of where I came from. My color sense comes from the rich colors of the Irish landscape. My family are in Ireland and I visit them regularly,” she says. Orla got her start as a print designer in New York and holds a B.A. from University College Dublin and an M.A. from the Royal College of Art, which recently awarded Orla a Senior Fellowship in recognition of her work. Orla also holds an honorary doctorate from Norwich University of the Arts. She and her husband Dermott Rowan, Director of The Irish Design and Craft Council, have two children and currently live in London.